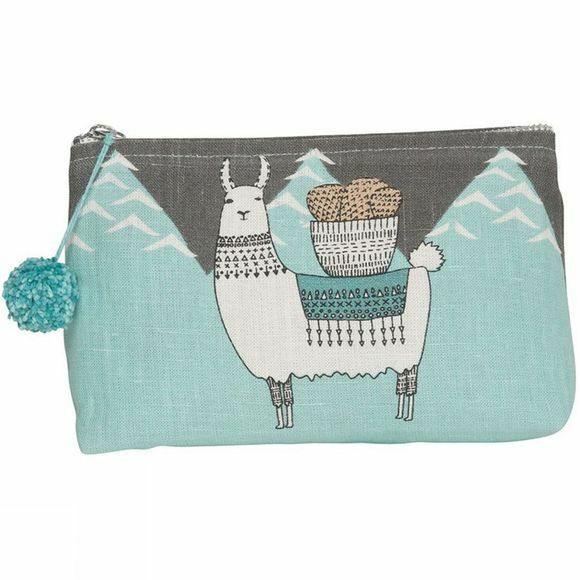 A herd of lovely llamas feature on the Llamarama Cosmetic Bag from Danica Studio. 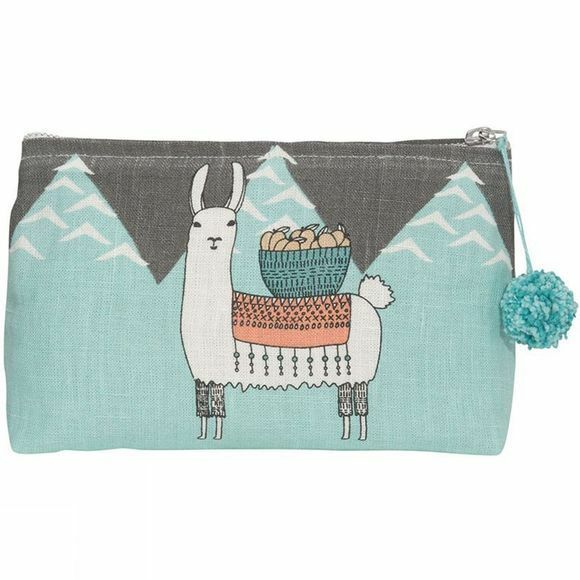 Ready for a trek through the Peruvian mountains with cargo upon their backs, the cute illustrations are printed onto bright aqua cosmetic bags and pouches, which echo the clear and sunny skies of the Andes. Playful pompoms are added for a fun detail.